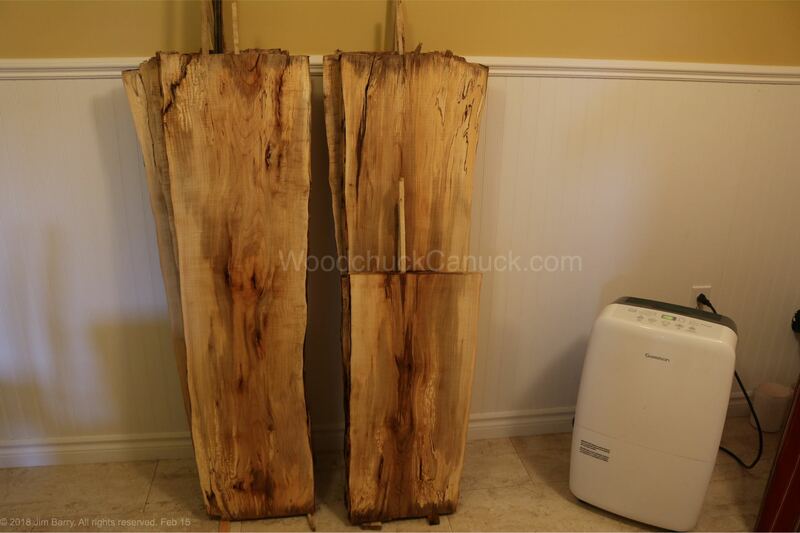 Pictured in the photo above is 1 inch thick live edge sugar maple we have drying in our laundry room basement. 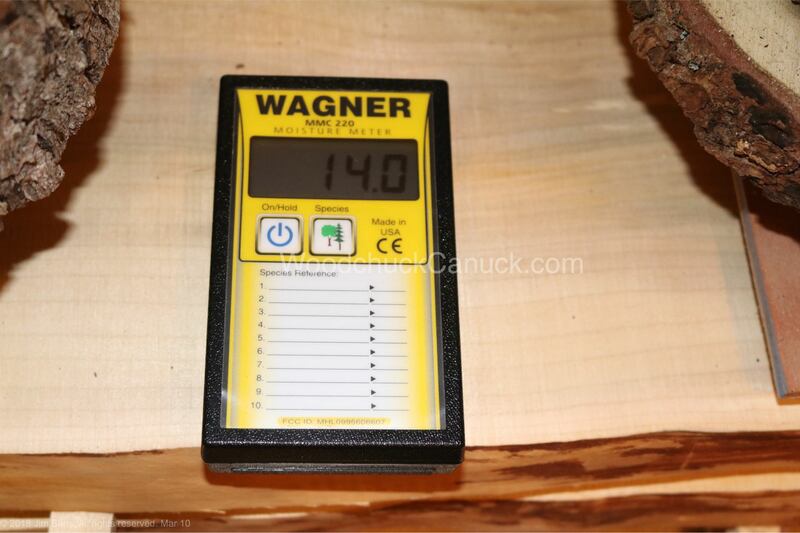 When I first sliced up some sugar maple I was storing it standing up in my workshop. But it started to go fuzzy. After cleaning, I stood them up as shown below in the laundry room, with a dehumidifier running between 40-50% (humidity controls). Sugar maple drying in the basement. 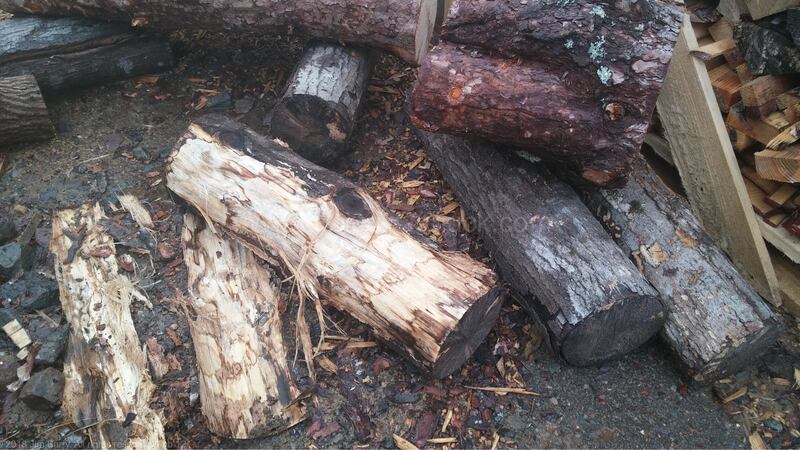 The maple logs were sitting out in the wood pile since 2016, as shown below. Anybody else would look at that wood pile and not even bother to use it even for firewood. But, if you are patient, and let the wood ‘cook’ or ‘ferment’ 🙂 a bit outdoors, you can achieve some nice spalted effects to the wood. 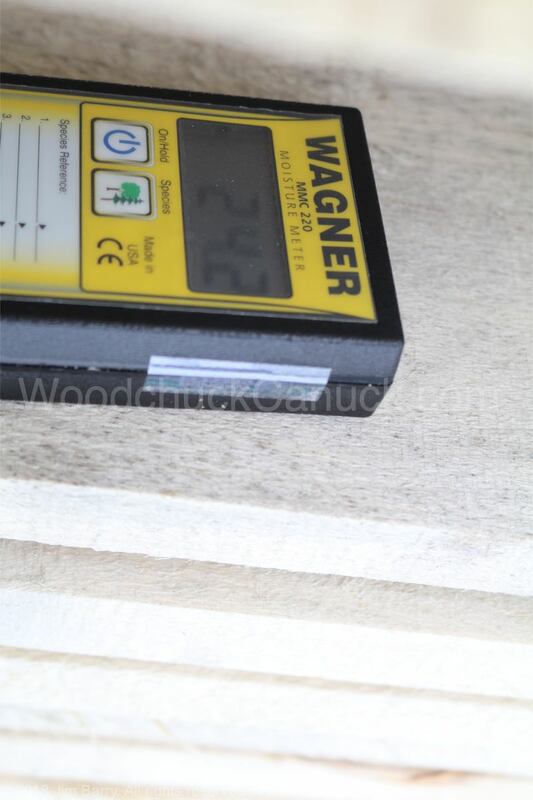 Below is sugar maple cut at the same time, but thinner 1/2 inch thick stock, so it will dry faster as evidenced by our moisture meter. 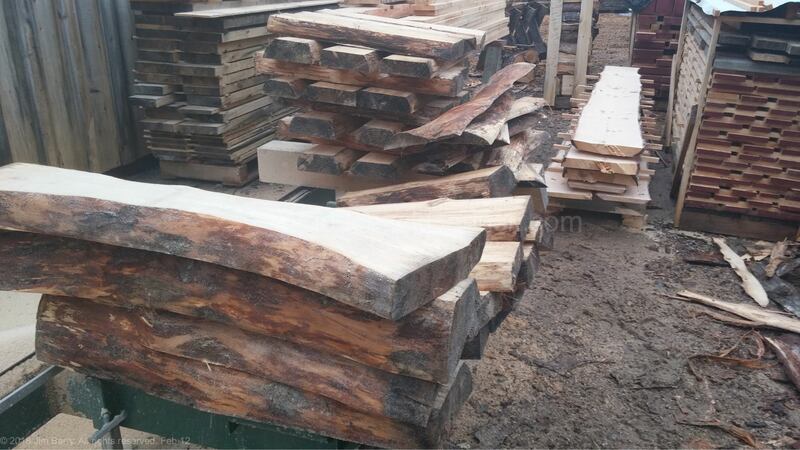 Next up is our inventory of pine live edge wood slabs. 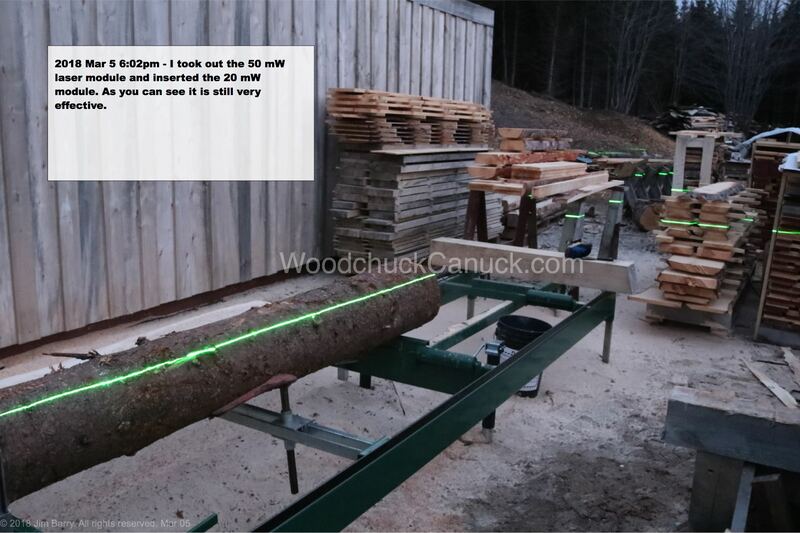 Last year we had run into the problem of the fresh cut wood starting to turn fuzzy. That brought out our first bleaching process to try and save the wood slabs. It was successful in saving them, and the 8ft lengths now stand in our shipping container. We only recently addressed the issue of moisture control in the shipping container. 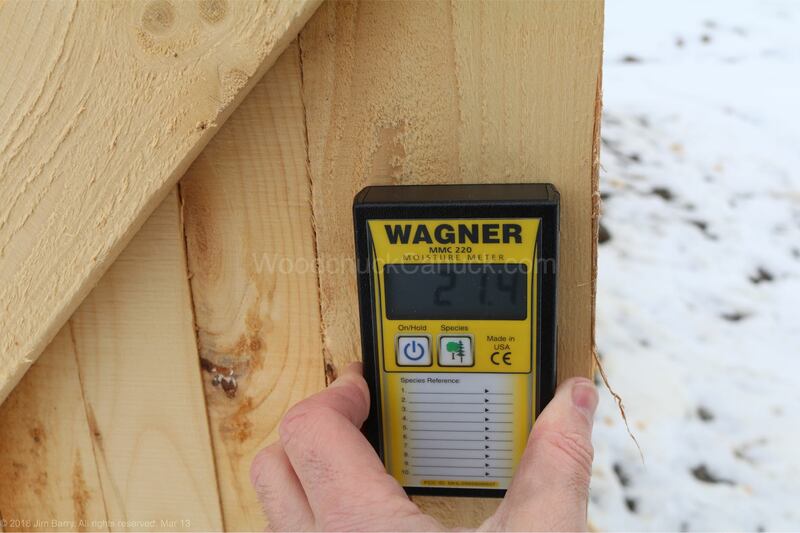 Its nice to see that the moisture is cleared up and we are confident the container can now be effectively used to store lumber. 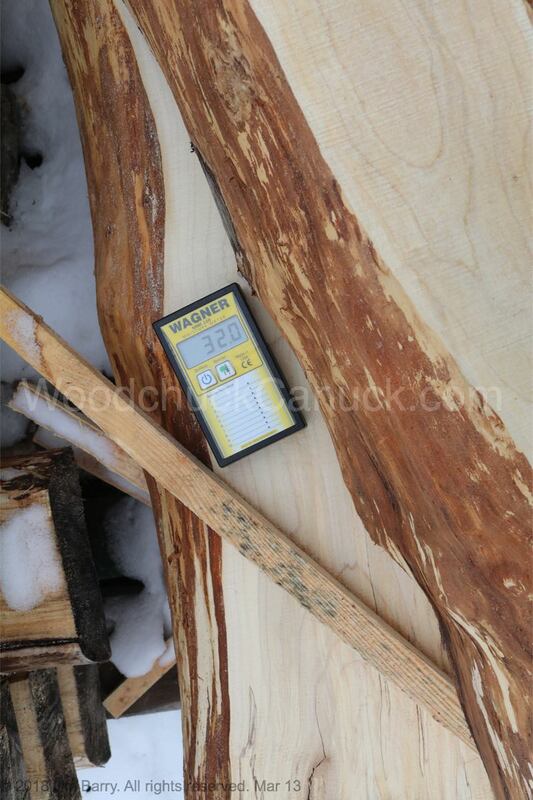 Here are some moisture content readings for the 2 inch thick pine slabs. Dry enough to use for furniture making, like farm tables. I went and checked on the stack of 2 inch thick dimensional balsam poplar planks we have in the yard. These were milled during the late summer and fall of 2017 and stacked outdoor with no covering. You can see that stack of 2 inch poplar up against the bldg in the picture below. I need to bring it into the container for storage or at least get it covered. 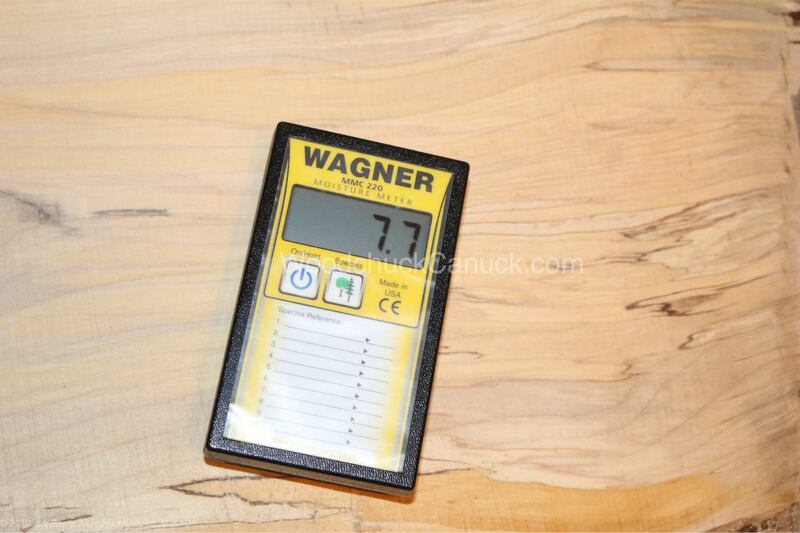 There’s a small stack of 1/4 and 1/2 inch live edge pine on top of it as well. Stacks everywhere! Here are our stacks of poplar boards we milled late summer/fall of 2017 before we covered the tops with tarps to shield from direct weather. They are coming along good. As it stands, the boards are ready to use for bldg structure (siding and floor). If I got them indoors to dry some more, the planks could be used for rustic furniture making. 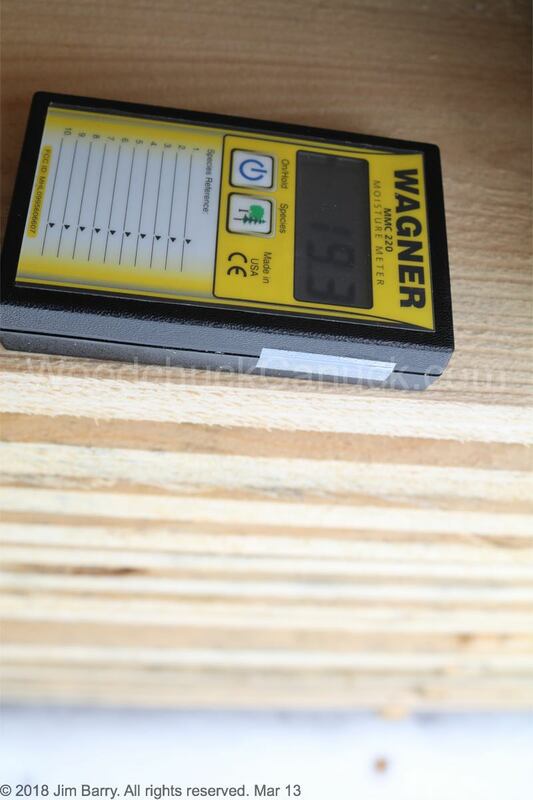 This dimensional pine lumber we milled this past fall is being stored standing upright in the container, its slowly on it way a good moisture content reading. 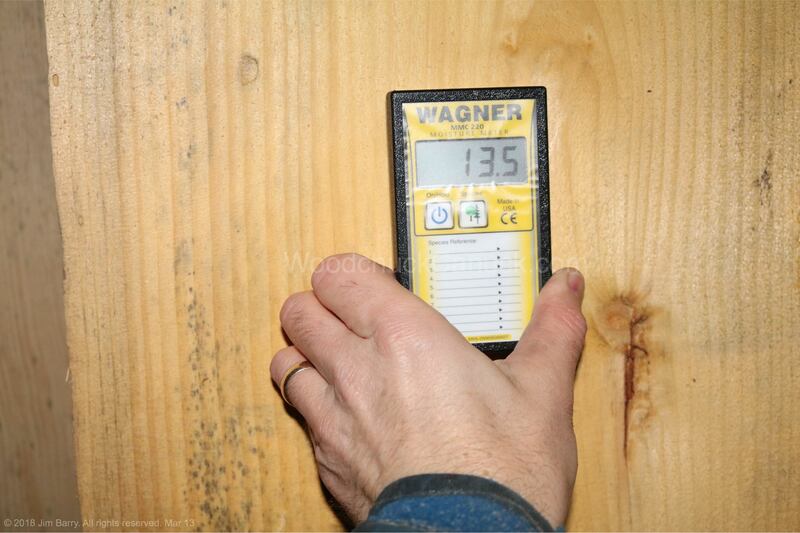 Even at this level the wide plank pine boards could be used for crafts. Just have to find time. These sugar maple live edge blanks I have in the yard which are not covered (but should be) to keep off the direct weather, came from a stack of decaying firewood so its been outdoors for a couple years. 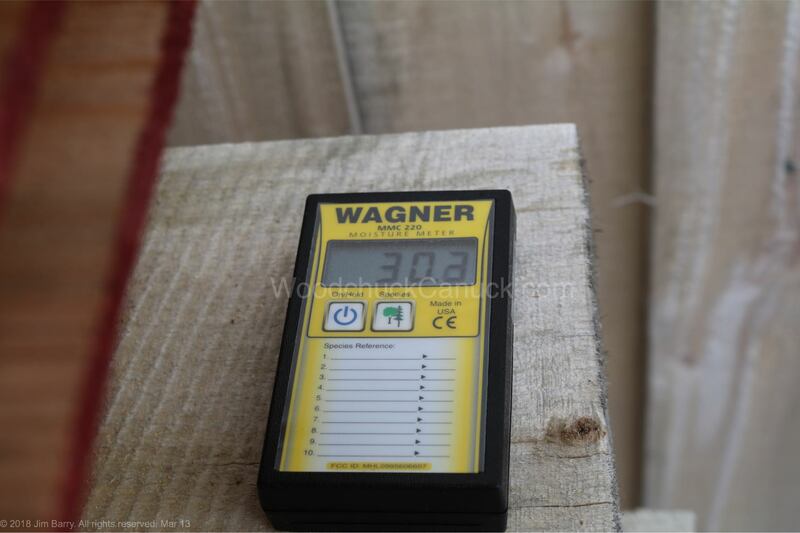 As expected its moisture content is still quite high. All good though, it will dry in due time. 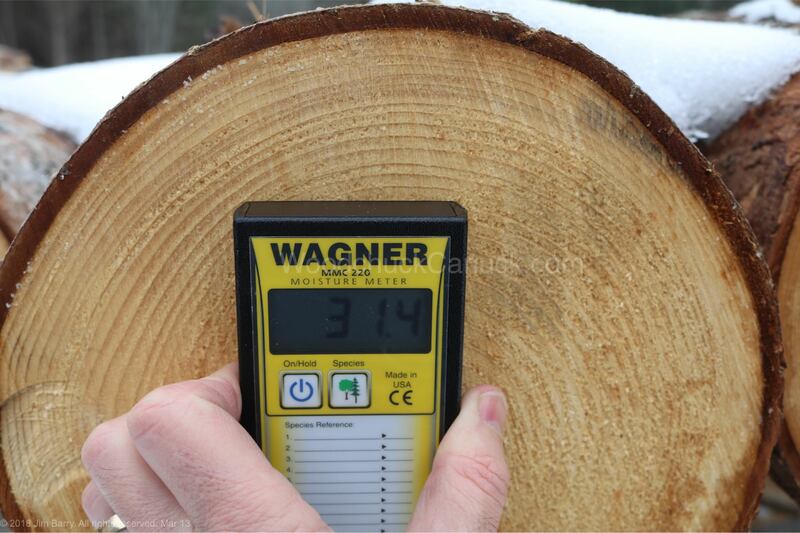 Finally, we take a look at the most recent logs to come to the yard. A few cords of spruce that were felled this winter. Naturally, still damp as it maxes out the meter reading below. 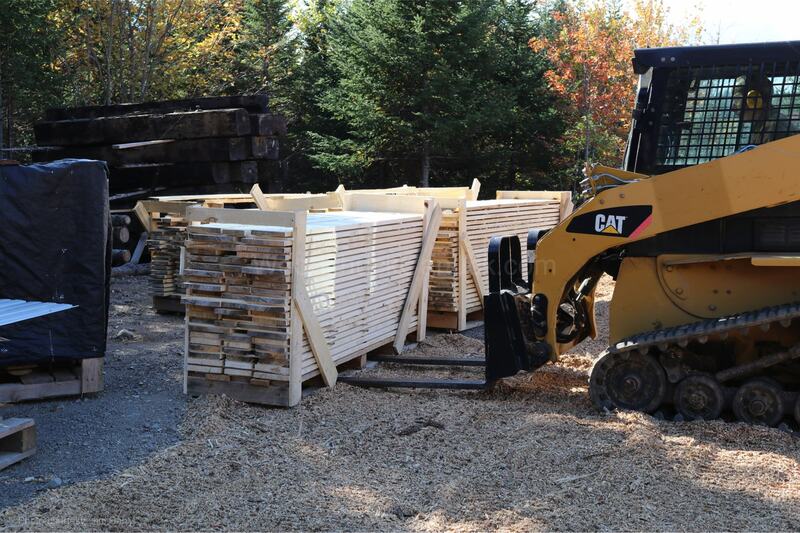 I have been milling lumber from that pile to build a kiln shed. As you can see once it gets up and exposed to the sun and constant breeze, it starts to dry pretty quickly. That constant breeze is only something I discovered as I started putting up the kiln building. In hindsight, I probably should of put the kiln bldg in a location that was a bit more sheltered. But that is a story for another day. 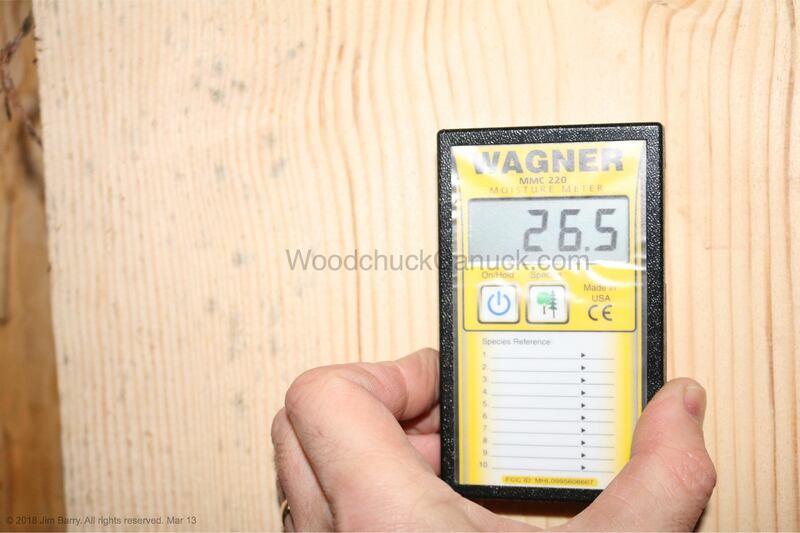 This moisture meter will come in handy once we have the kiln up and running. 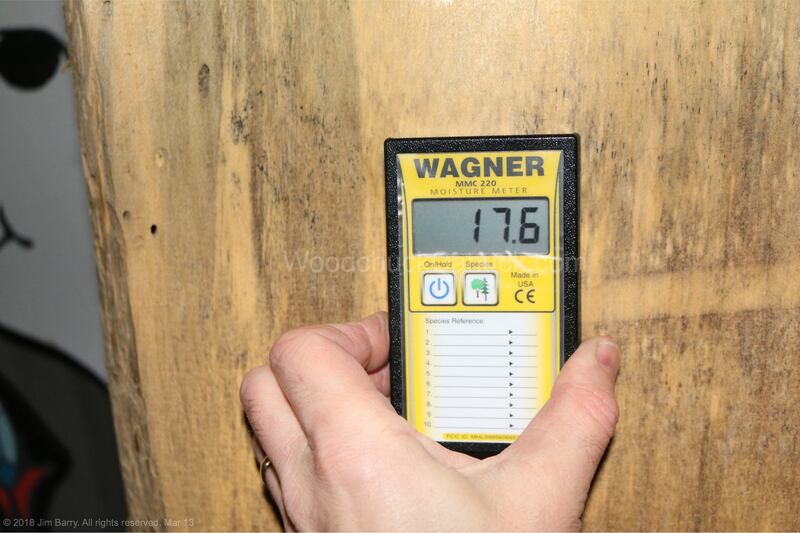 We will be able to measure the moisture of the wood going into the kiln, during, and after.